Spoiled kids are in the news again – or rather parents who spoil kids. In 2012 we wrote about the problem of entitlement and offered some ways to solve it. We even created an online course to equip parents to raise grateful, hard-working, and responsible kids. Unfortunately, the world wide epidemic of entitlement seems to be growing. Researchers have coined the term “snowplow parenting” based on the latest studies of what causes this problem. As defined by researchers, snowplow parents are those parents who plow away life’s troubles for their kids, providing quick and easy rescue when a child struggles. 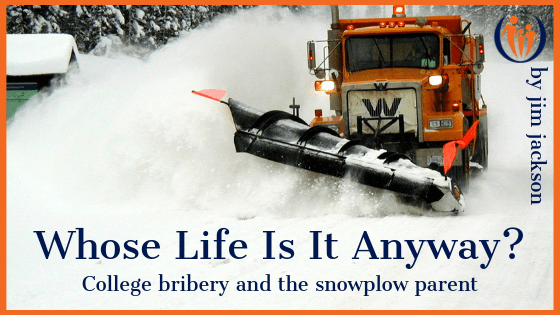 They “plow” by doing things for kids that the kids are capable of doing or should be doing for themselves. For example, picking up young kids’ messes or doing their chores because it’s easier and more efficient than taking the time to teach kids and hold them accountable. Over time, the habit gets formed and instead of doing less for kids, we keep doing more. The plow widens when parents help kids at the first sign of struggle with homework (or even do parts of it for them), argue with coaches for more playing time and work angles to get them jobs. Or at an extreme: bribe colleges! The more this happens, the less kids learn how to do the hard work of fighting through failure and be successful at hard things themselves. Research indicates that 11% of these parents call their grown kids’ bosses about their kids’ work issues. I can’t even imagine this happening when I was younger. Can you? So what has changed? For most of human history the blessing of a child was about more hands to do the work needed to help the family survive. Quite literally, the blessing of children was that the sooner the kids learned to do the hard work of the family, the sooner they became an asset to the family. But in the 20th century everything changed quickly, so that by 2015 we’re told it costs an average of $233,000 (per child!) to raise them to adulthood! This is a whopping liability that has changed the purpose of parenting from equipping kids for lives of purpose, to providing the goods, services, and money kids need in order to succeed in life. Could it be that somewhere in this seismic shift, parents need some sort of payoff from their kids to justify this investment? The answer seems to be yes. The payoff is the emotional well-being that comes from kids accomplishing things that make the parents feel good. For example: if taking time to clean up a child’s mess allows them to get to practice… so they can play on Friday night…so parents can watch their child perform and take pride in that…then the parents will clean up the mess. Sometimes it’s as simple as preferring to be liked by your child instead of having them face the consequences of missing practice. It’s more about what I think is good for me than about what’s really good for my child. The hard truth is this: “snowplowing” for our kids is a form of idolatry. Period. An idol is anything we look to that gives us a sense of worth and value. And as Christians, there is only one thing meant to give us a sense of value. JESUS. It’s the “Sunday school answer” because it’s the right answer. 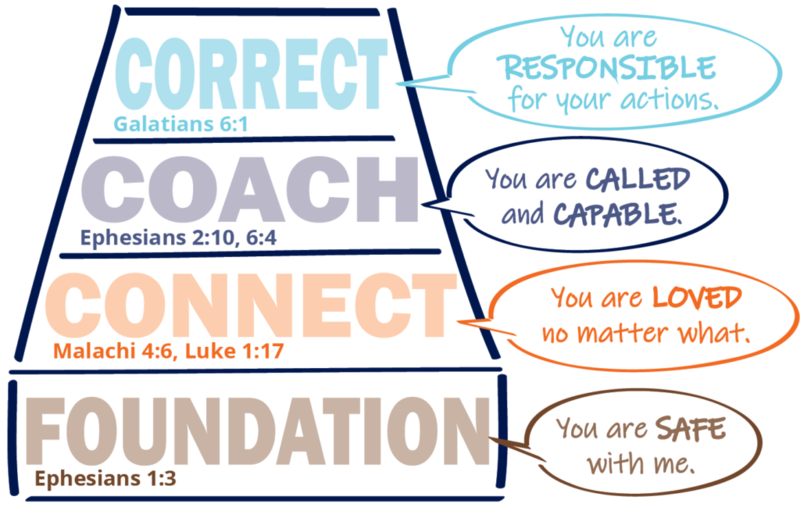 True value and worth as humans comes through Christ, not through our kids’ accomplishments. For the first time in human history many parents are not only not OK with having average kids, they’re obsessed with having the highest achieving kids. Which is why we spend nearly a quarter of a million bucks per child. It will stop in small ways at first – by forming new habits that transfer responsibility to our kids. 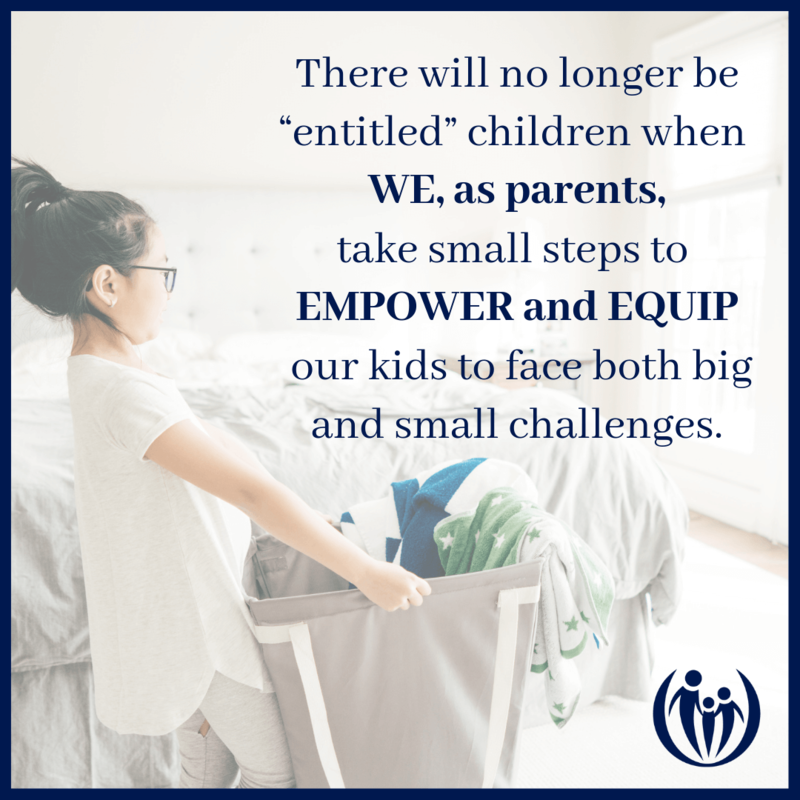 Snowplow parenting ends when each of us takes small steps to empower our kids to face challenges and be responsible for their lives. Snowplow parenting ends when each of us takes small steps to empower our kids to face challenges and be responsible for their lives. For one of Lynne’s coaching clients, Cheryl, this empowering happened when she took the small step (but hard habit to break) to stop reminding habitually dawdling son Reese to hurry up so he could be on time to school. This was so they could both avoid the embarrassment of him being late. She decided to let him discover the consequence of his dawdling and lateness. Cheryl – It looks like you’re going to be a bit late for school, but that’s your problem, not mine. Reese – Mom, that’s mean! Cheryl – No, honey, I just meant that it’s your choice how quickly to get ready for school, and the consequences you receive from the school are yours, not mine. After struggling with our own form of idolatry, by putting pressure on our kids to be the source of our happiness, we decided to develop a vision for our family that guided us toward God’s purposes. We started teaching our approach in live workshops and many families have grown as a result. We took the content from this live workshop and built a 4-session online course to equip families all over the world to combat this struggle. In the course parents learn how to confidently respond when their kids say, “I don’t wanna do it!” or, “I want it now!” Most importantly, parents learn to approach such demands guided by God’s “Big Yes!” for their family. If this sounds like the kind of parent you want to be, we’d love to encourage you with what we’ve learned. Check it out in our online course The Entitlement Fix: Growing Hard Work and Gratitude in Your Kids (also available for small groups) and let us know if you have any questions. We’d love to partner with you as you discover God’s purposes for your family.